If a medical practitioner’s negligence has resulted in an injury or the death of a loved one, then you may be entitled to compensation and restitution for any pain and suffering or losses that you’ve endured. With Steve Ray Lawyer, we’ll work with you to understand what has happened, and we can build a case to earn just compensation from insurers and the party responsible. We work on a variety of hospital negligence and medical malpractice claims, and we work with folks throughout Northern Colorado from our Fort Collins-based law firm. Please, reach out to us if you think you have a case for hospital negligence or medical malpractice — we provide free initial consultations, where we can help you to understand your options while we learn more about the details of your specific case. We’ve also cataloged the answers to a few of our most frequently asked questions below — please feel free to give us a call if you have any additional questions. 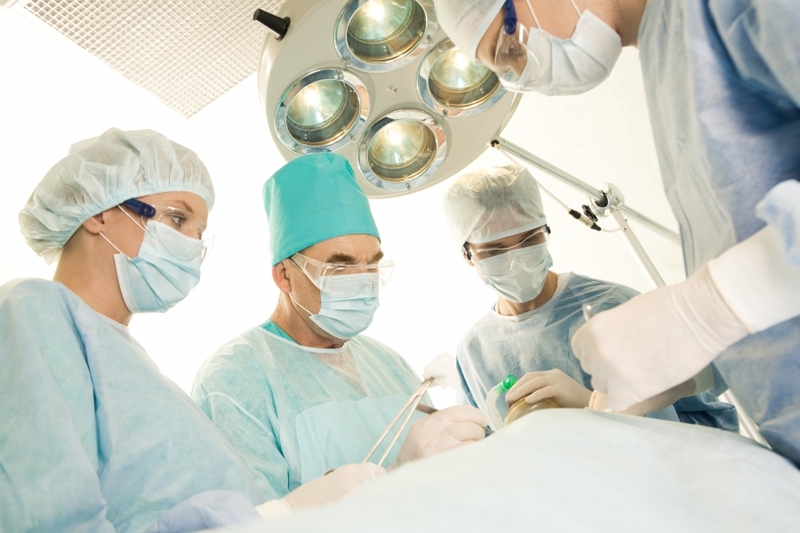 What services do you provide during a hospital negligence or medical malpractice case? During a malpractice or hospital negligence case, we’ll work with you to understand the events that have occurred, and we’ll strive to earn compensation and restitution if you or a loved one has been treated with negligence during medical treatment. We will strive to obtain medical records, treatment plans, and documentation of treatment conditions, medical errors, or any negligent practices that occurred. We may work with another medical expert to assess your situation, to provide further insight into any malpractice or negligence that may have occurred. Once we’ve built a case, we may choose to pursue a trial to earn you compensation from insurers and/or restitution from the party involved. We may end up settling for a dollar amount out of court, or your case may go to trial, where we will represent you to try to earn just compensation for the hospital negligence or medical malpractice that you have endured. What kinds of restitution or compensation can I seek? You may be able to seek compensation to cover medical expenses, lost wages (including current and future losses) and restitution for any pain and suffering you have endured, including emotional tolls. We may also pursue restitution if your quality of life will be affected down the road. If you have lost a loved one to a hospital negligence or medical malpractice incident, then you may be compensated for your loss as well. How much restitution can I expect to receive for my case? Cases vary greatly, depending on the details of the case at hand. If you’re curious about the types of compensation that you may be entitled to, you can reach out to us for further information. Again, we provide free initial consultations for our clients. How does negligence play a role in my case? How do you track down evidence of negligence and liability? We can obtain medical records and request other records concerning employee practices, education, and training. We can also work with another medical expert to help build a case that you have been treated with negligence. Will I have to go to court for my case? Possibly. However, most cases are settled out of court. Often, we’ll work with insurers to settle on a fair amount of compensation for those who have been wronged by malpractice or negligence. In some cases, if we cannot reach an agreement with insurers or other attorneys involved in the case, then we may have to go to court to get a jury-rendered verdict, where a jury and judge will decide on the validity of the case and the amount of compensation to be paid to the victim. How much does representation cost through Steve Ray Law? Here at Steve Ray Law, we provide representation on a contingency basis — meaning that you don’t have to pay us unless we earn you compensation for your case. In addition, we provide free consultations, so you can gain an understanding of what we can do for you without investing a dime. Reach out to us if you’re curious about our attorney service fees. What can I do to prepare for the future, and when should I start? You should reach out to an attorney right away if you believe you are a victim of medical malpractice or negligence. In addition, if you are still suffering from injury or illness, you should seek treatment from another medical professional at a different medical facility if possible, and you should keep any records that are available to you from both your current treatment and your past treatment. You should also write down your recollection of what happened, so that you have a clear documentation of what you remember happening and when it happened. How soon will I be compensated? We strive to earn you compensation as soon as possible for your case. However, since we will be working with insurers and other attorneys to determine how much compensation you deserve, it may take some time to earn your compensation. Once your court case is over, or whenever we have reached a settlement with insurers, we will make sure that you receive compensation right away, either in a lump sum or in continual payments. What kinds of malpractice cases do you provide representation for? We work on all sorts of medical malpractice cases. We can provide representation to those who have been administered the wrong drugs, those who have suffered further injury or illness due to poor practices or unsanitary conditions, those who have endured a surgery accident due to negligence, and others. We also represent those who have been wronged by their own medical insurers (which is called a “bad faith” insurance case). If you have lost a loved one due to medical malpractice or negligence, we can represent you as well. If you’re curious whether or not you have a case, or if we can represent you, don’t hesitate to reach out to us for a quick consultation. Whether you have lost a loved one to medical malpractice, or you have suffered due to negligence from a practitioner, we can represent you to help you earn the compensation that you deserve. Steve Ray Law provides personal injury attorney services for those who are victims of medical malpractice. We strive to make sure that these victims are compensated for their losses, pain, and suffering. If you’d like to speak with us about your case, we’d be glad to provide you with a free consultation — simply reach out to us to get started.